“Dessin” : un ensemble de signes graphiques organisant une surface. “Drawing” : a set of graphic signs that organize a surface. What is the locus of control of design? Although there are many possible answers to this question, drawing is inescapable. Even so, a host of other questions emerge. For instance, if drawing is the locus of control, then what is the “work” of drawing, what is its productivity? To what extent is the medium the message? How should we navigate the dialectic between the slowness of iterations in physical drawing and the instantaneity of the machine? Are we witnessing the “Death of Drawing” (Scheer, 2014; see also the Yale symposium of 2012)? Is there a shift in the cartography of the discipline? How have schools managed recent changes? Is the profession fundamentally different now? And how should architectural theory adapt to drawing’s evolving status? This conference/exhibition seeks to continue the dialogue opened over the past two decades about the roles of various dispositifs, ranging from the draftsperson’s mind and body (Pallasmaa, 1996) to the “distributed intelligence” supported by both manual and electronic means, both hard and soft wares. Currently envisaged keynote speakers include : Franco Purini (I), Antoine Picon (F,USA), Juhani Pallasmaa (FI), Yves Lepère (B), Daniel Estevez (F), and Olivier Houdé (F). 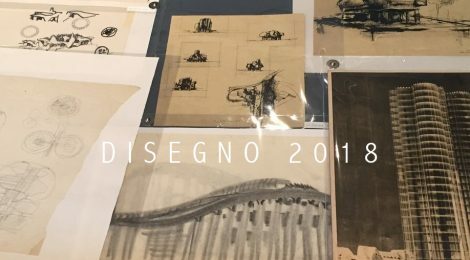 Contributions, in the form of abstracts or drawings, are invited that will help us address the past, present and future of drawing as a place of exploration, decision, production, mastery and uncertainty in architectural design. Particularly encouraged are contributions that are attentive to links between theory and practice. Authors of accepted drawings will be asked to furnish an original or high-quality print in due time for the exhibition. It is our intention to create a dialogue between these drawings and a selection of drawings from the Drawing Matter collection (www.drawingmatter.org), in collaboration with the collector Niall Hobhouse and a small team of co-curators. Full papers will be expected on or before October 31, 2017, in order to allow time for production of the conference booklet.